Robotics, chatbots, artificial and cognitive intelligence – welcome to the future of insurance. Insurers and brokers are already using these technologies, to varying degrees. But it could be the best and fastest adopters of these technologies – those companies that dive in the deepest – who come out on top as the industry continues to rapidly evolve. According to Deloitte’s “2018 Insurance Industry Outlook”, robotics and artificial intelligence (AI) in insurance is only going to increase in the next few years. Insurer spending on cognitive intelligence (CI) and AI technologies will rise 48% globally, “on a compound annual growth basis over five years,” to reach $1.4 billion by 2021. It’s sink or swim time for insurers adopting this tech – especially when it comes combining robotic and human workforces. As the report outlines, already in 2018 insurers will be deploying robotics and AI to automate many business tasks, to speed up claims adjudication, increase online conversion rates, and more. Robotic process automation (RPA) and CI technologies give insurers the chance to both reduce expenses in staffing, but also adapt the very nature of the way they do business. “RPA gives carriers the ability to automate mundane, box-checking-type tasks in underwriting, policy administration, and claims, potentially freeing up thousands of people hours,” the report states. 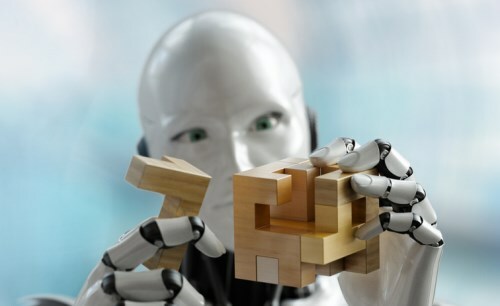 “RPA solutions use bots to mimic the way individuals interact with applications and follow simple rules to make decisions and automate routine business processes, improving efficiency without the need of any fundamental process redesign. CI takes robotics even further, allowing insurers a way to automate more complex tasks, using “soft skills” like intuition and creativity. CI can analyze and recognize handwriting, images, audio and video, and process natural language. “The potential benefits of RPA and CI go beyond cost reduction to offer decreased cycle times, flexibility and scalability, improved accuracy, and higher employee morale – at least among those who can make the transition,” the report stated. Dave Kuder, another principal at Deloitte Consulting, said the technology will be best employed by insurers that can most easily integrate the robotic tech into their current systems.